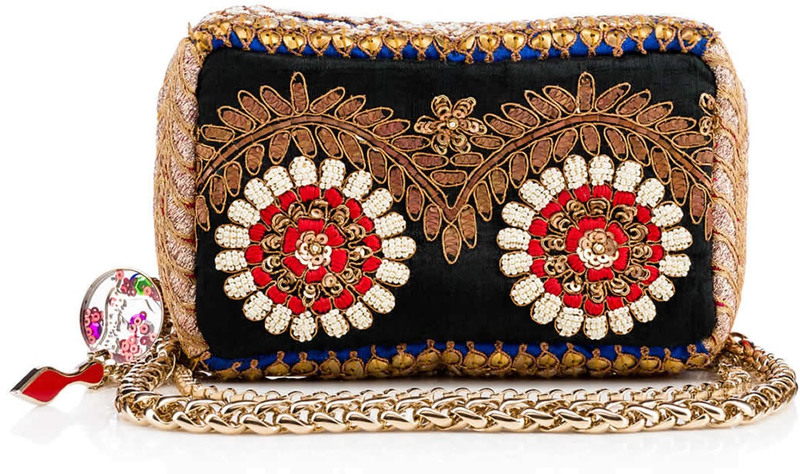 After knocking divas over with his red soles, glamorous lip shades and stunning nail paints, Christian Louboutin’s Piloutin Maharadja Clutch is here to make a fascinating statement. 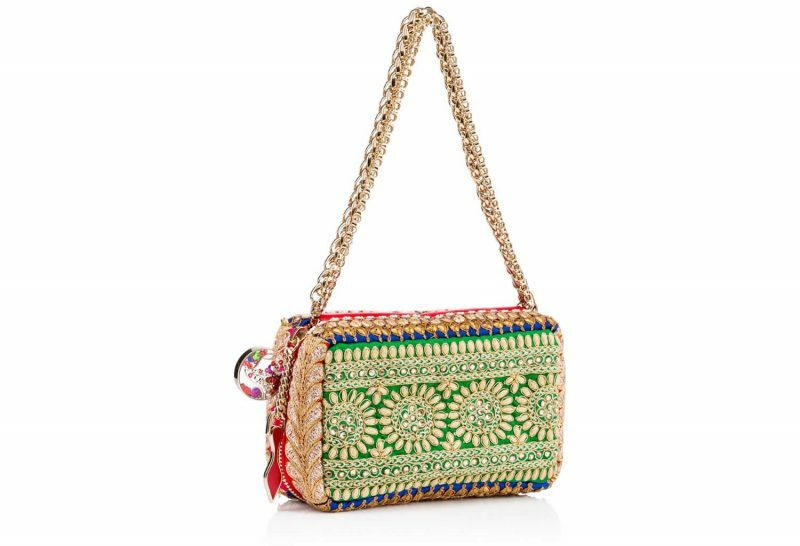 Piloutin Maharadja from the Parisian luxury brand adds an exotic touch to our bag-of-the-week collection as well as to your wardrobe. 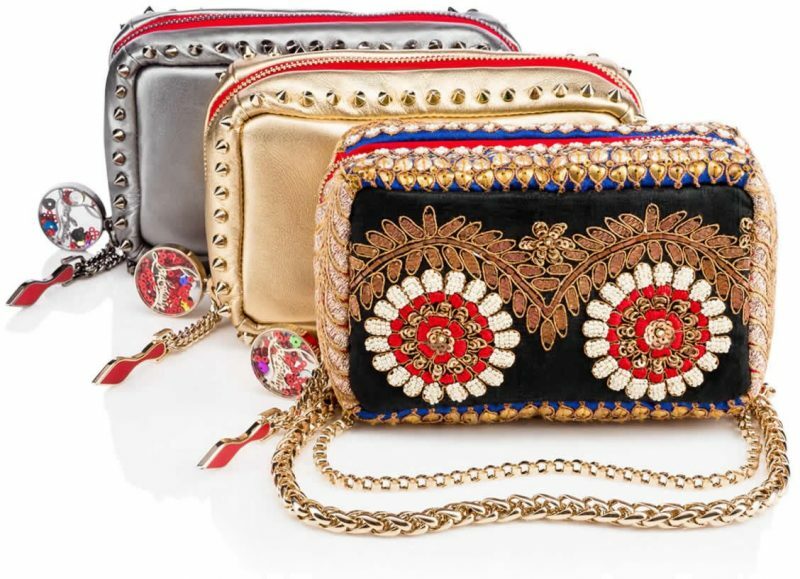 Resembling a precious pillow, Louboutin has designed the intricately embroidered clutch such that no two “Maharadja” versions are the same. Boasting of exquisitely embroidered ribbon from Christian’s personal collection, each piece is just as special and unique as the Louboutin lady who carries her. Fitted with signature Louboutin red color zip all around the body, it also features a Louboutin logo charm zipper pull. Dressed with red suede lining inside, it is also trimmed with soft beads on outside that renders a playful feel. A lightweight chain strap acts as a delicate handle, or can be wrapped around the clutch. The Maharadja version is a limited edition rendition of the Piloutin. 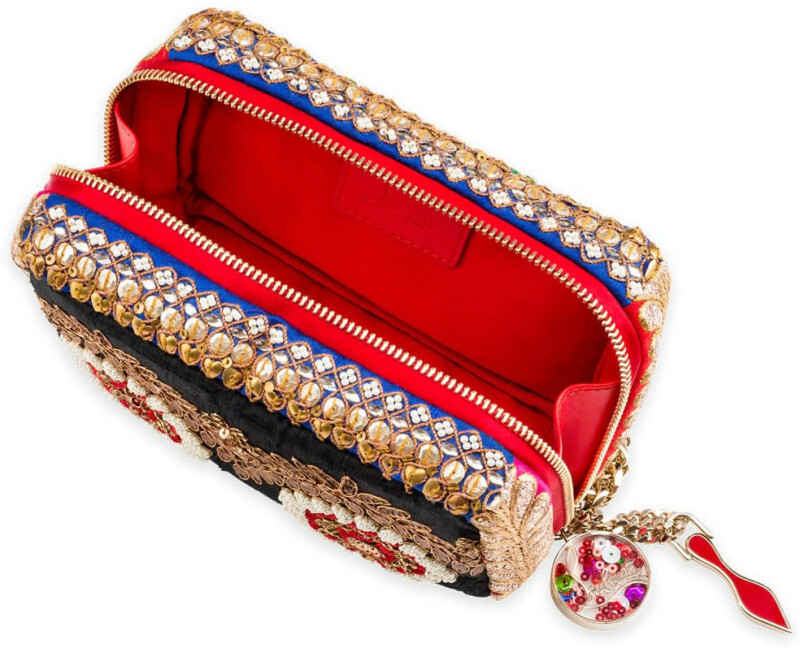 This unique, jewel-encrusted, multi-color clutch from Christian Louboutin comes for $1,650. Gold and silver Piloutins are available for $990.